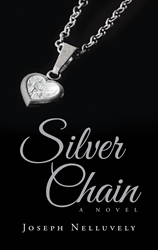 Recent release “Silver Chain” from Page Publishing author Joseph Nelluvely is a captivating account that gives a definition of what an enduring love truly means. Joseph Nelluvely, a graduate of Loyola University of Chicago, a language instructor for Peace Corps, an adjunct faculty member of the English Department of Triton College, a full-time senior rehabilitation counselor with the Illinois Division of Rehabilitation Services, and an author of four books, has completed his new book “Silver Chain”: a gripping narrative about a man’s life-changing journey amidst the toils of war and love. Published by New York City-based Page Publishing, Joseph Nelluvely’s evoking story reveals relatable dilemmas concerning friendship, trust, and love, all of which are provoked even further with the overwhelming threat of war and loss. Readers who wish to experience this intriguing work can purchase “Silver Chain” at bookstores everywhere, or online at the Apple iTunes store, Amazon, Google Play, or Barnes and Noble.